During an online shopping spree, I scored two cute black and white dresses for less than $10 each. Dress No. 1 was too small in the waist area (made me look pregnant), too big in the neck and shoulder areas, and too short even for my stubby little legs. Plus, the pattern was too busy and didn’t make me feel pretty or trendy. Because I absolutely love love love the swing of the dress, I turned it into a cute skirt! When I rummaged through my box of elastic, I found an elastic waistband removed from yoga pants or leggings. Perfect solution! The first refashion was pretty simple — took me less than an hour to complete. Other than Dress No. 2 being way too long for my short frame, I found no other issues with the dress. It didn’t make me look pregnant, and the angled stripes were bold but kind of flattering. 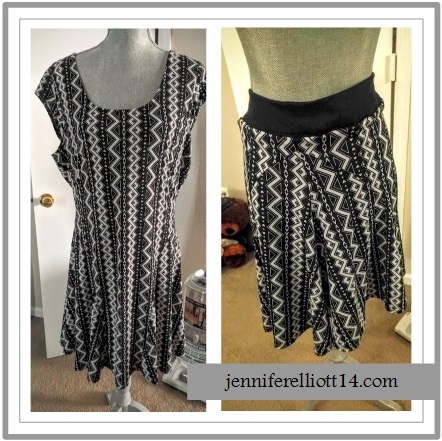 The easiest fix would be to create a new hemline, but then a fabulous idea hit me! 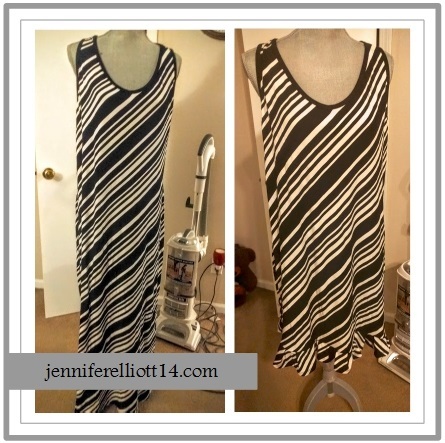 Add a ruffle hem! 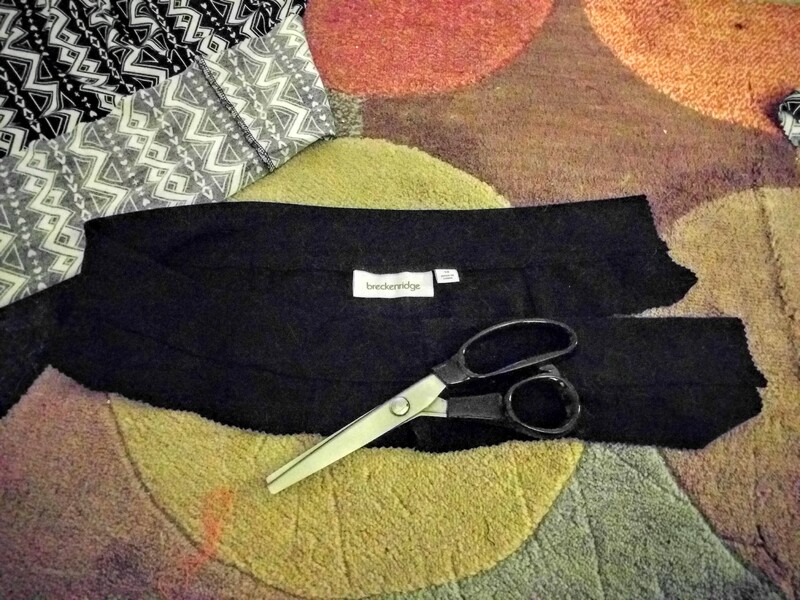 I definitely needed to shorten the hem anyway — so why not use the extra fabric to create a ruffle hem? I love the new look of the dress, but in retrospect, I probably could have created something more dramatic. Maybe an asymmetrical hem with a bigger ruffle. Maybe I should have looked at Pinterest for more ideas. I am happy with the simple ruffle at the bottom, but every now and then I wonder if I could have done something better.